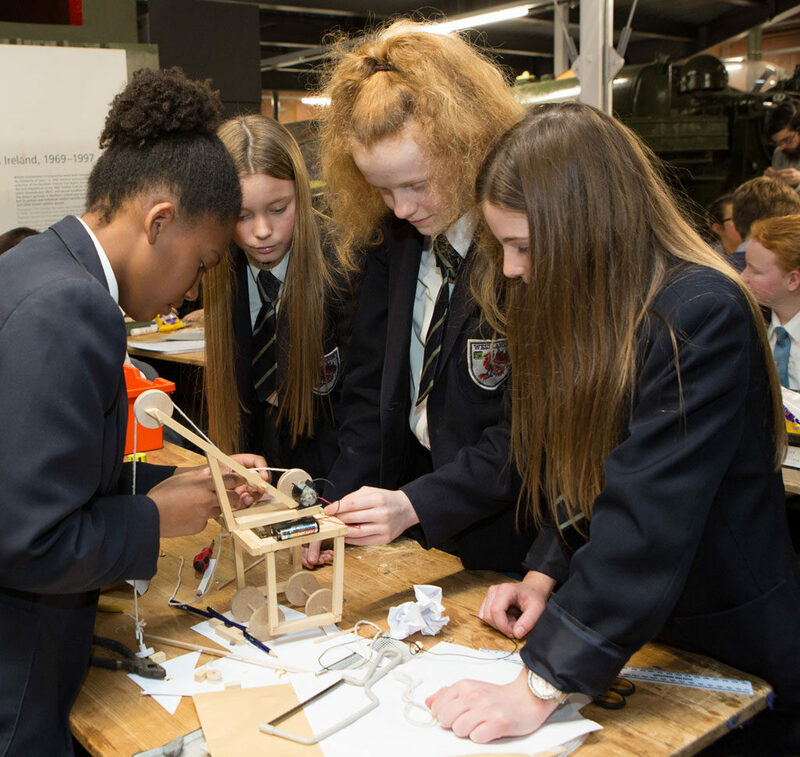 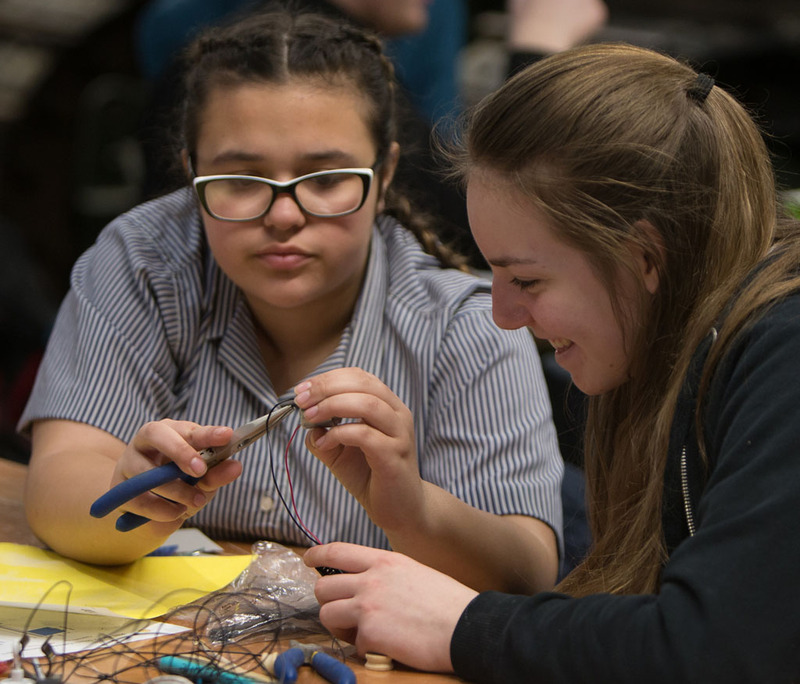 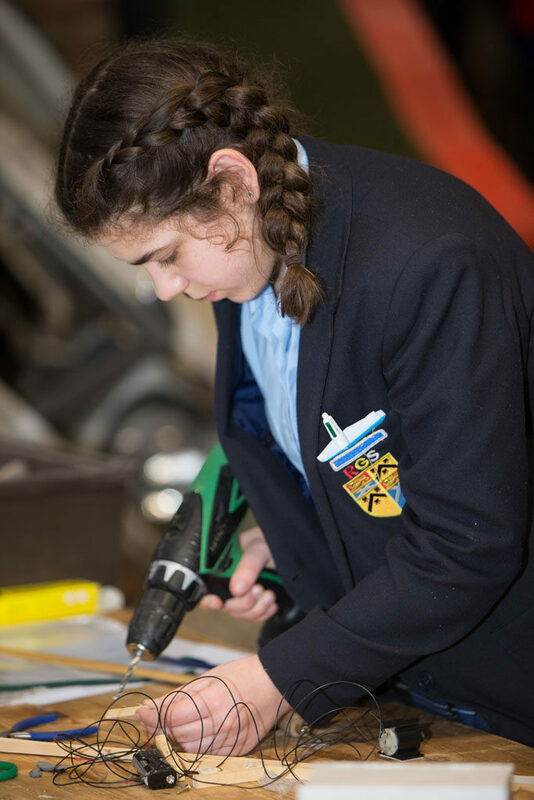 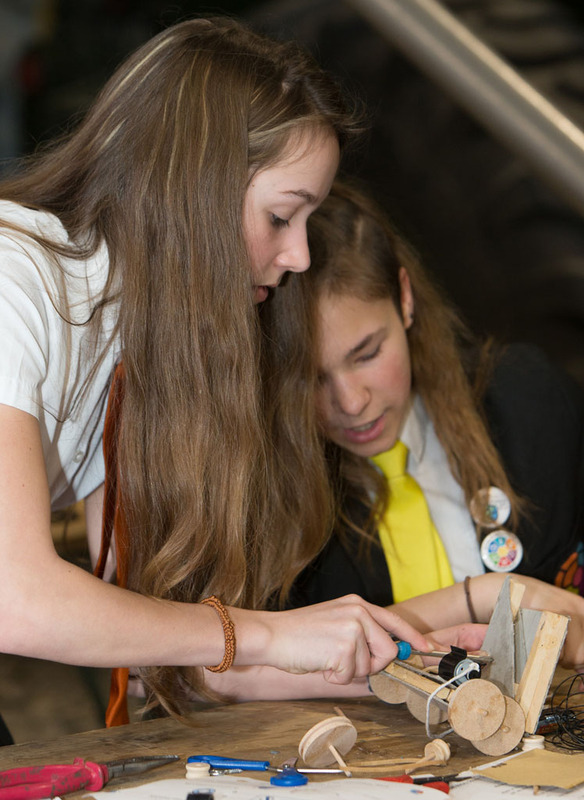 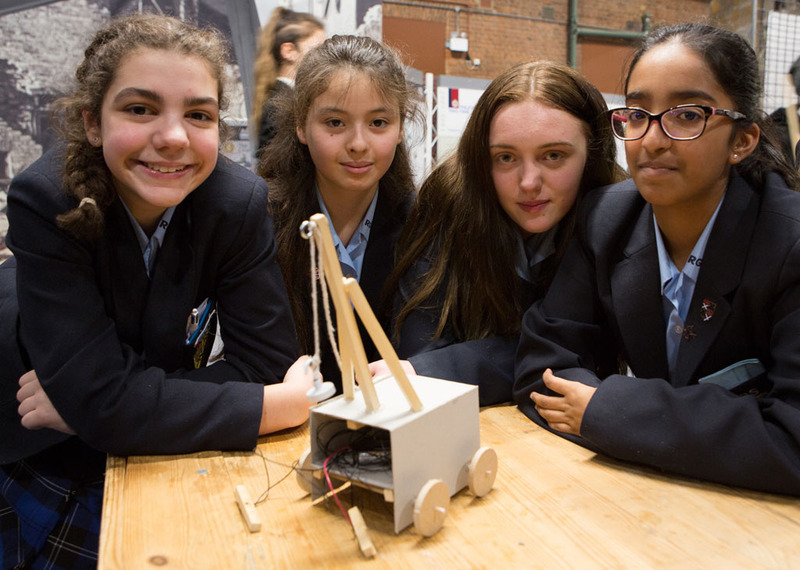 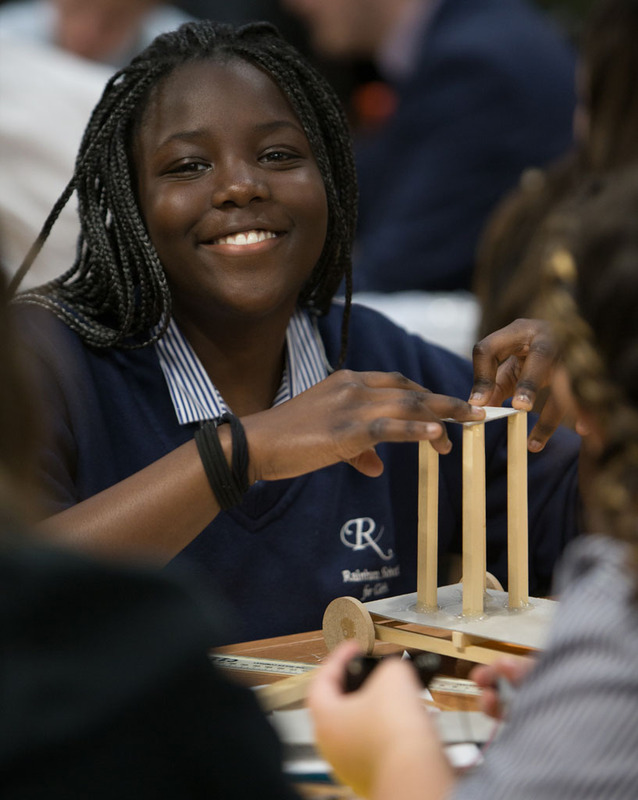 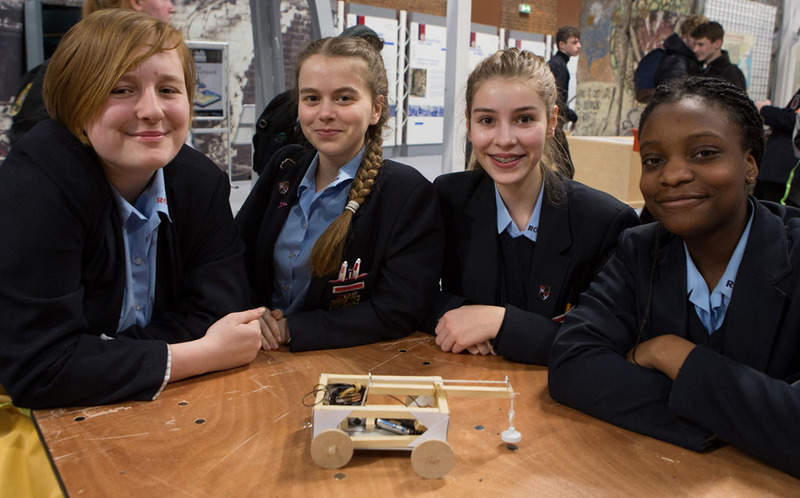 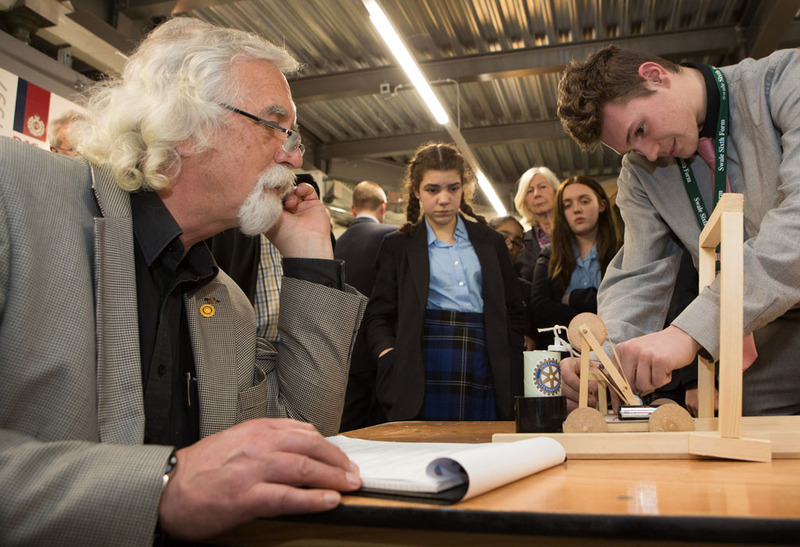 Secondary school pupils from schools across Kent put their STEM skills to the test by taking part in a problem-solving and construction challenge at the Royal Engineers Museum. 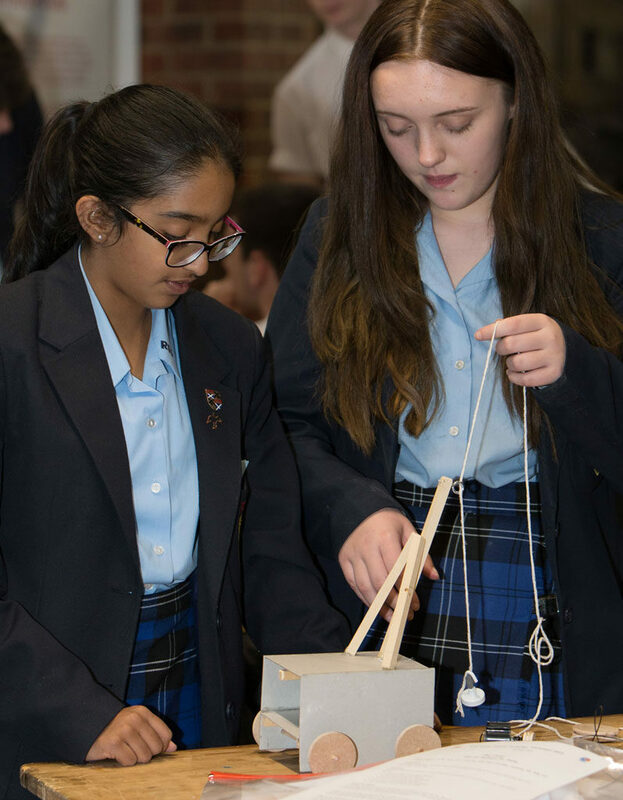 The regional Senior Technology Tournament is an opportunity for the young people to demonstrate their knowledge of science, technology, engineering and maths. 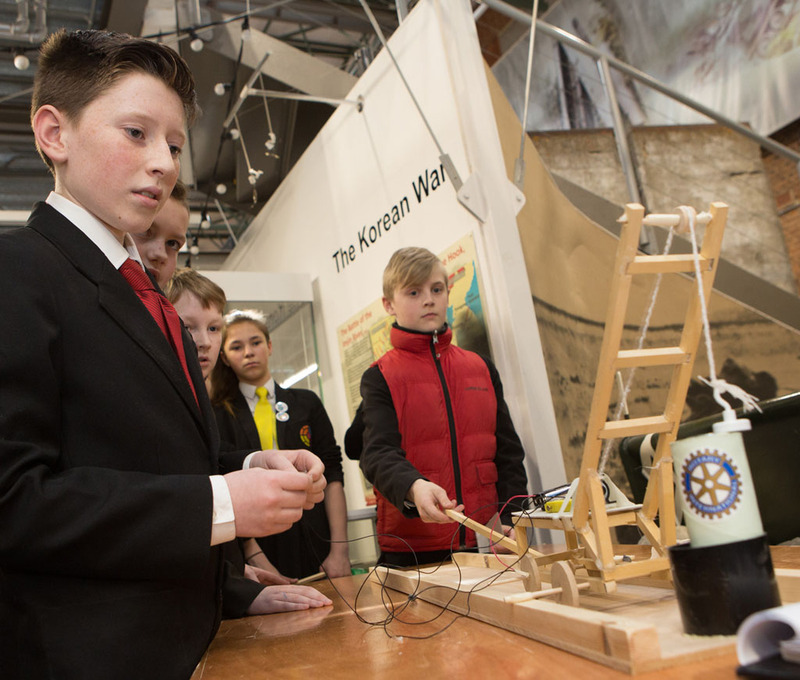 Supported by the Rochester Bridge Trust, the challenge saw the teams asked to design, build and test a crane to recover a chemical container from a safe working distance. 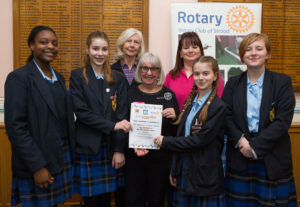 Organised by representatives from Medway and Maidstone Rotary Clubs, young people aged 11-19 from Northfleet School for Girls, Rochester Grammar, Rainham School for Girls, Westlands School and The Leigh UTC competed for prizes, presented by Rotary District Governor Brenda Parsons, and Sarah Hohler, Assistant Warden of the Rochester Bridge Trust. 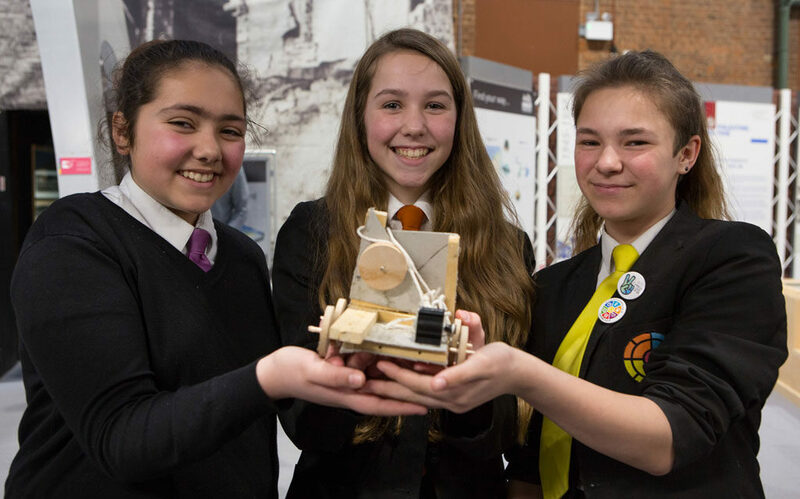 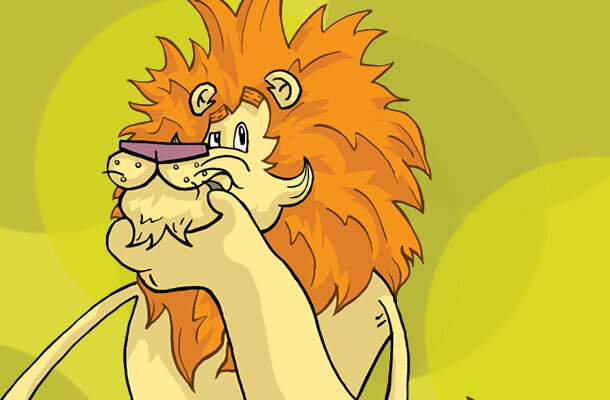 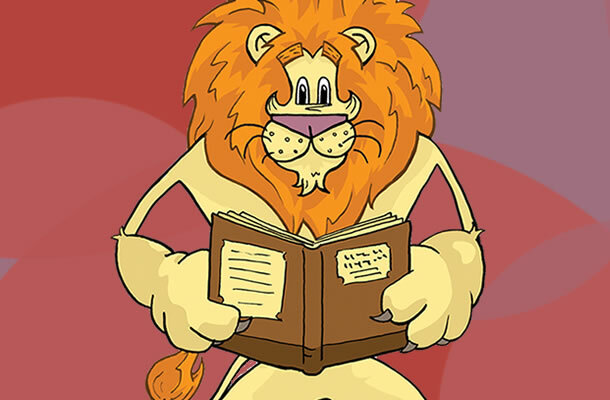 The challenge was split into three levels according to age: foundation, intermediate and advanced. 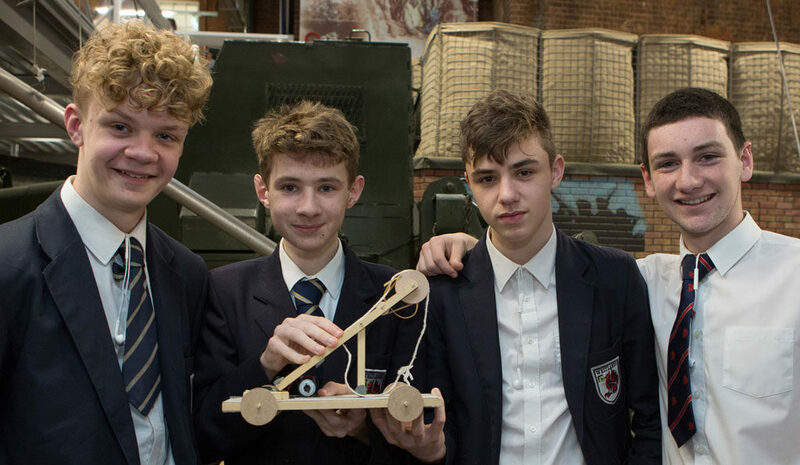 Teams from Rochester Grammar Schools won the first tiers, with Leigh UTC victors in the advanced category. 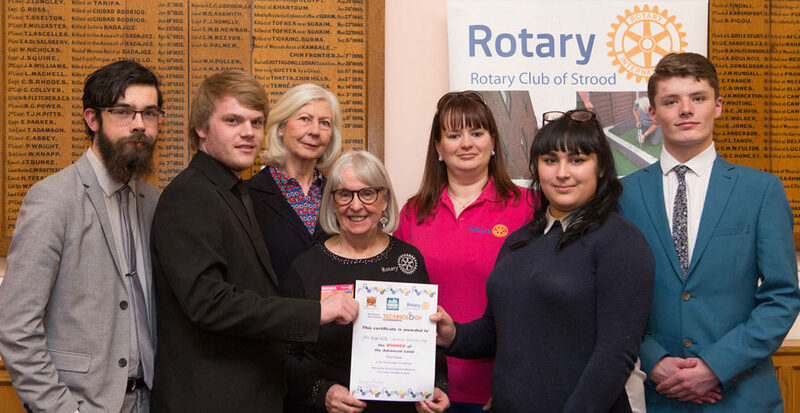 Visit www.rotarygbi.org for more information about the Rotary Club’s Youth competitions or visit www.rochesterbridgetrust.org.uk for more information about the Trust’s education work. 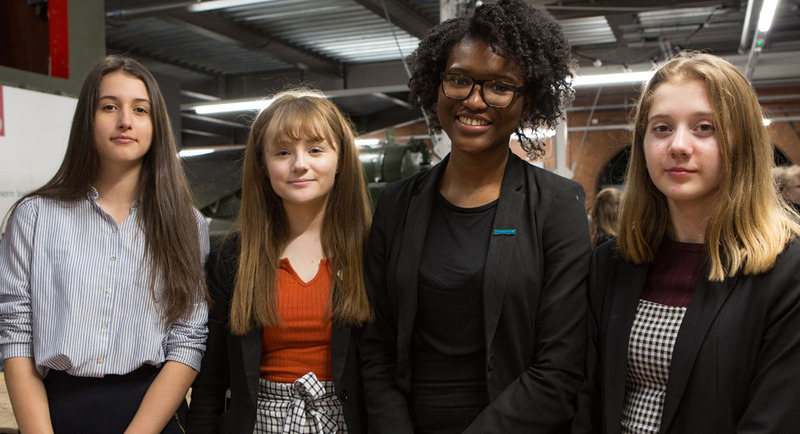 Winners Foundation Rochester Grammar: from left Macey Thornton, Alexandra MacLean-Simon, Alice Lean, Riya Sunil. from left Josh Edney, Jason Wendon, Bethany Arney and Patrick Manning. 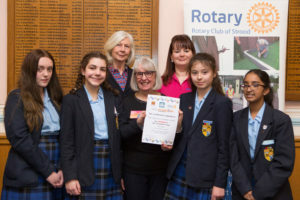 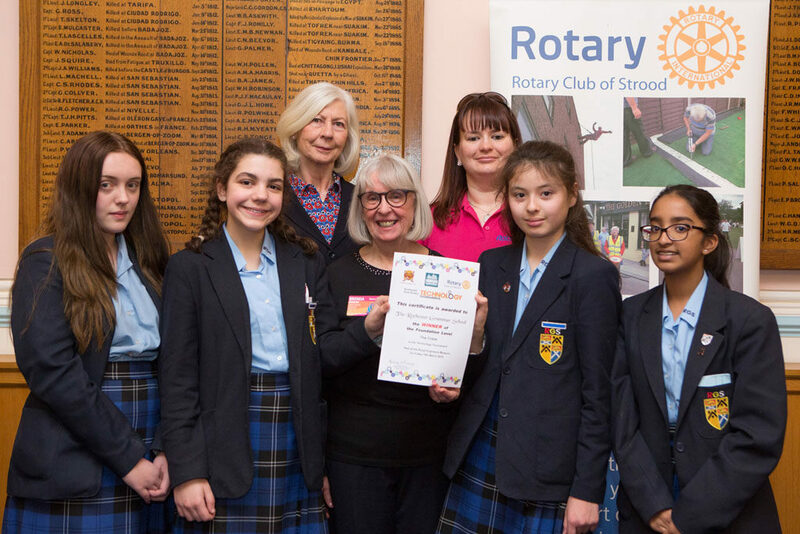 Note: In all three winners pictures above the adults are (left to right): Sarah Hohler, Assistant Warden of the Rochester Bridge Trust, with Rotary District Governor Brenda Parsons and Strood President Rachel Eberlein.